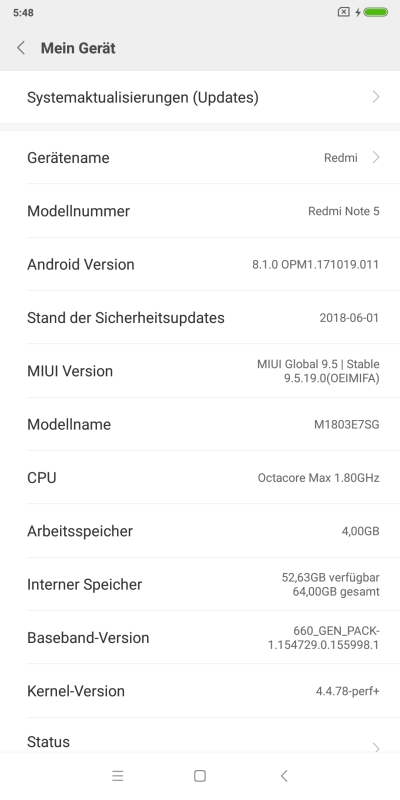 How to get device name like whyred für Xiaomi Redmi Note 5? For custom ROMs like LineageOS, the more specific device names are used. So e.g. the Xiaomi Redmi Note 5 is called whyred or Samsung Galaxy S7 Edge goes hero2lte. Having some experience in Android and custom ROMs, I don't know how to find out device names based on the colloquially used device names (Redmi Note 5 ~> whyred). I only see M1803E7SG as model name here, but no match to the device name used for custom ROMs. Especially on Xiamo it's a big mess to get rich of different model or editions. Sometimes a single model is not equal across different regions. For reference, our review unit is the M1803E7SG. This is also known as the Redmi Note 5 AI Dual Camera. It is neither the Redmi 5 Plus, which is listed as the Redmi Note 5 on Xiaomi's Mi website, nor is it the Redmi Note 5 Pro either. All three devices are powered by a Qualcomm Snapdragon 636 SoC, but they feature different camera hardware and memory options among other differences. So is this a flashable device for TWRP/LineageOS? I'm relly confused now and would like to see the device name for this smartphone. Dial *#*#64663#*#* and use 1 Check version info. Near Camera information you can see the codename. You could use Device ID as xavier_fakerat already suggested. But I also found aida64 which seems more verbose as you can see much more details about the device instead of only seeing the Device ID. 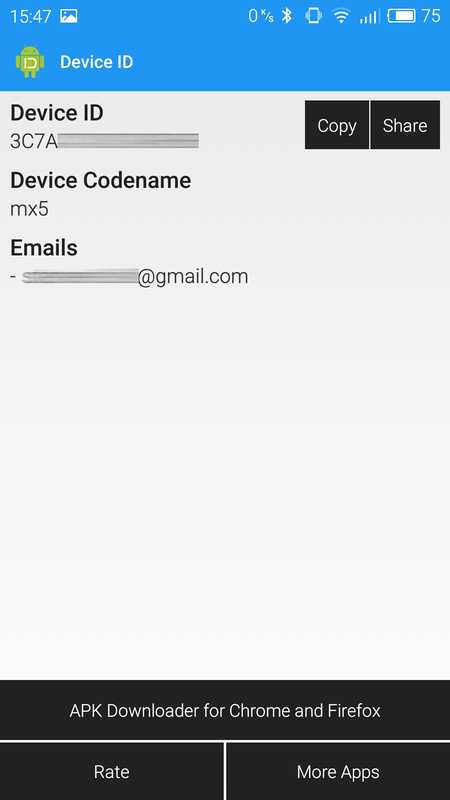 But if you're really just want the codename, the Device Id app works well. Not the answer you're looking for? Browse other questions tagged custom-roms lineageos xiaomi device-name or ask your own question. Is my Xiaomi Redmi Note 2 encrypted or not? Is it possible to use NOGAPPS and Maps API with Uber app (or apps similar to Uber)? What kind of encryption is required for LineageOS on Xiaomi Redmi Note 5 (whyred) to boot?